This balm is amazing! Smells heavenly, but best of all, it works! And no chemicals, none. 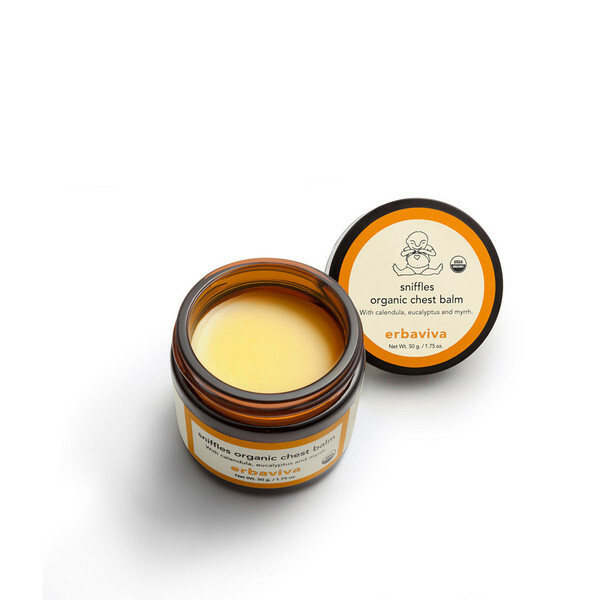 An organic natural alternative to ease baby through cough and cold season, Sniffles Organic Chest Balm is expertly formulated with essential oils of eucalyptus, tea tree, and myrrh, which are known to be immune boosting and lend powerful antiviral and antibacterial properties. 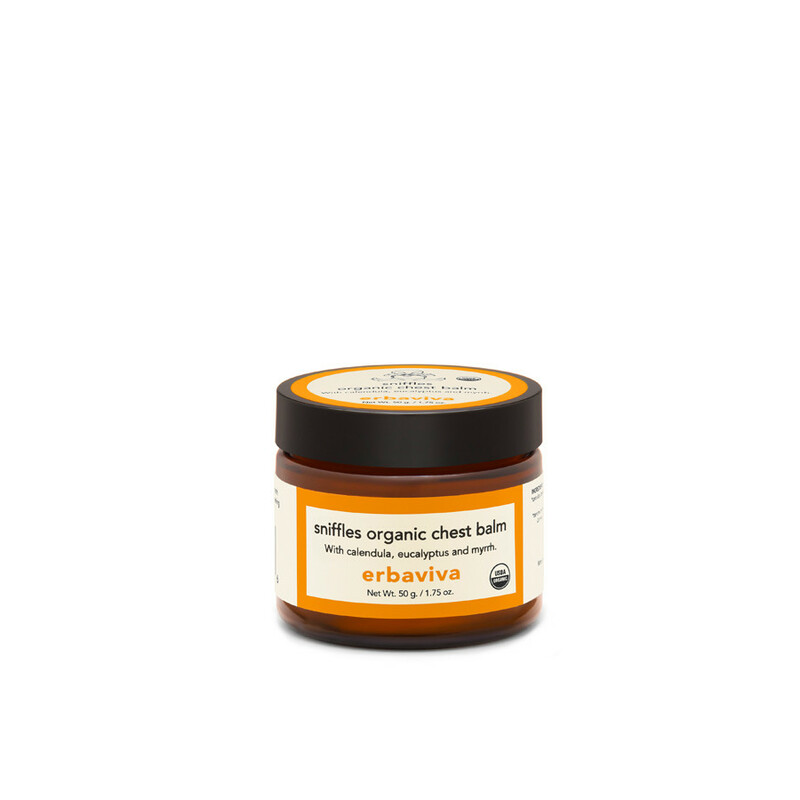 Calendula, lavender and chamomile naturally comfort baby, while cypress and helichrysum essential oils effectively deliver healing and antiviral elements. 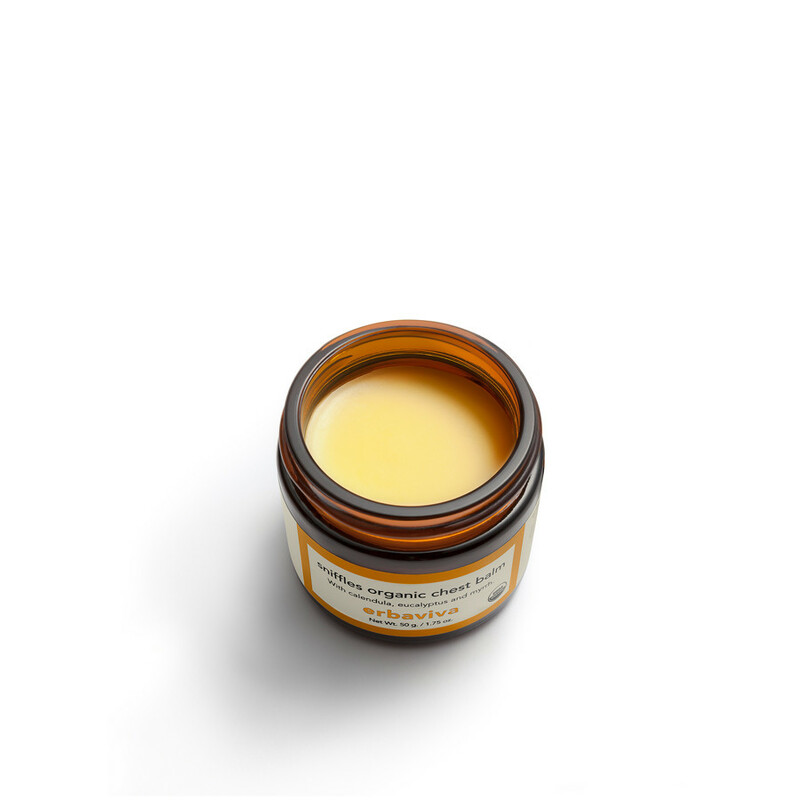 Apply to baby’s chest, back, neck and behind the ears to relax and soothe. Great smelling, purely natural and petroleum free. USDA Certified Organic. INGREDIENTS: *Helianthus annuus (sunflower) seed oil, *butyrospermum parkii (shea butter), *cera alba (beeswax), *simmondsia chinensis (jojoba) oil, *eucalyptus radiata oil, lavendin oil, *cedrus atlantica (cedarwood) bark oil*, *citrus grandis (grapefruit) peel oil, *cupressus semperivirens (cypress) leaf oil, *commiphora myrrha (myrrh) resin extract, *pelargonium graveolens (geranium) flower oil, *melaleuca alternifolia (tea tree) leaf oil, *rosmarinus officinalis (rosemary) leaf extract, *helichrysum italicum (immortelle) extract, *calendula officinalis flower extract.